I have always believed 24 hours does not do justice to any town/city. Especially if one has time at their disposal, it is best to spend knowing a place better. 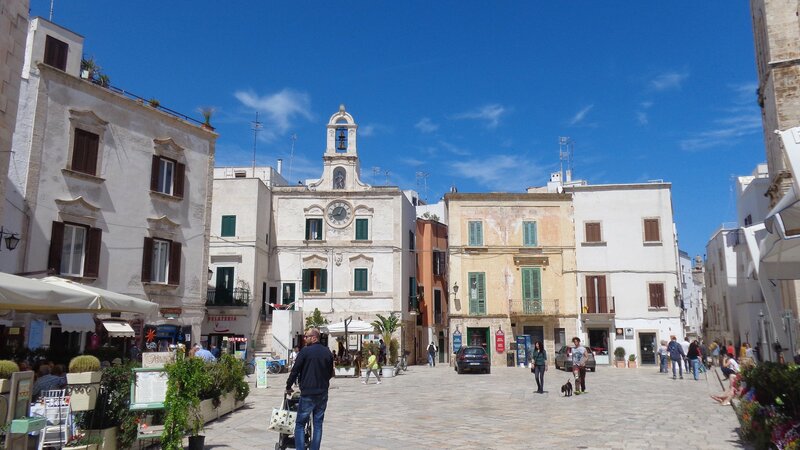 This is what I had in mind for Polignano a mare– a gorgeous seaside town in Puglia. I stayed in B&B Grottone, a quaint B&B in the heart of the town, which turned out to be a mere 5 minutes from the main piazza. 72 hours in Polignano a mare were not enough, I’d say but definitely gave me a taste of Puglian food and hospitality at it’s best. 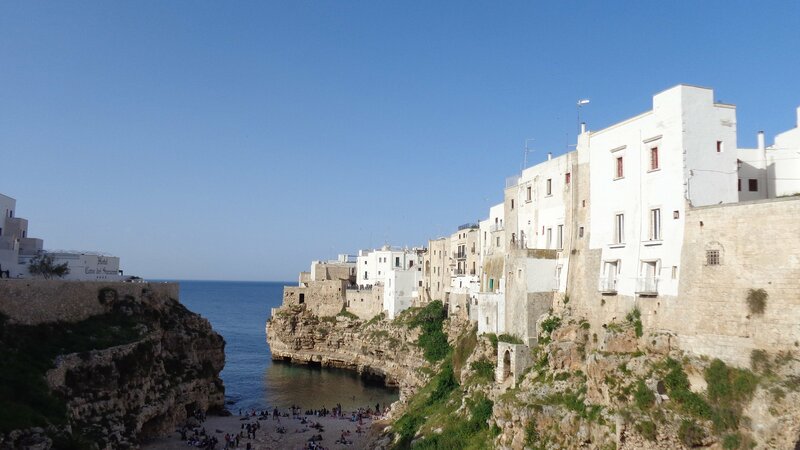 Polignano is a town made of a limestone cliff. 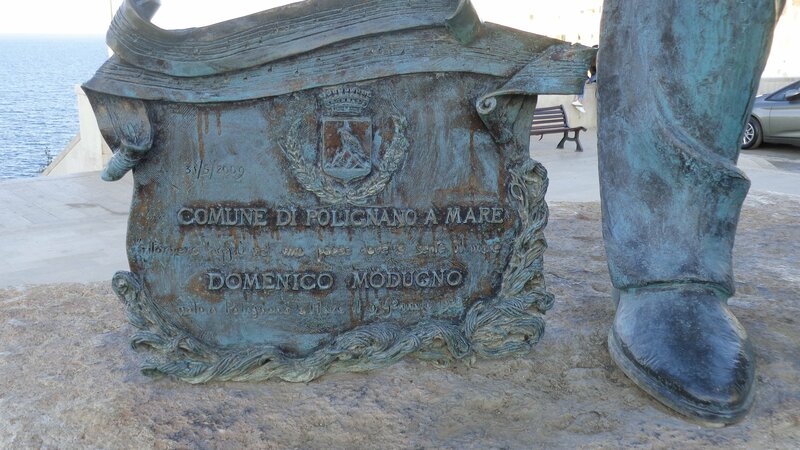 So on the first day, see the rock that makes it so famous and walk towards the statue of the famous singer Domenico Mudugno. You might remember him from the famous song- VOLARE! 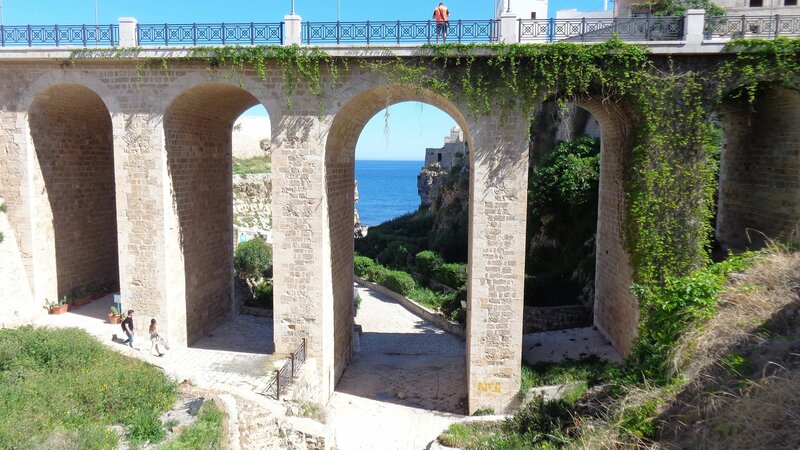 It continues in my head as I write…..Polignano is his home town so make sure to see the commemoration the town gave to him, with a great view of the sea. Go to the beach and laze around in the sun. 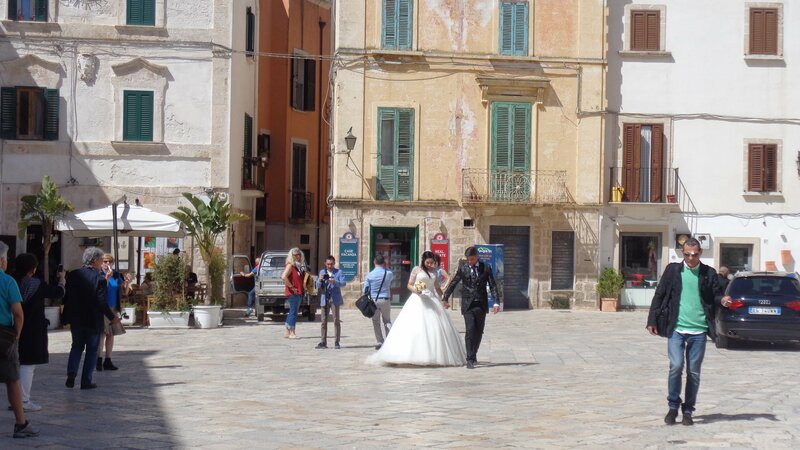 Afterwards, take a stroll around the town in the afternoon and have lunch at the main Piazza. Pick any place! All are fabulous (list below). In the evening have an aperitivo (drinks+snacks) at Bar Millenium. Next to it is a store selling jewellery and the owner Rosanna is adorable. She and I befriended each other even though I was not as well versed with my Italian that time. It is a good shopping spot! On the second day, enjoy another fabulous sunrise on the terrace and the view of the sea. For breakfast, go to Bar Millennium and enjoyed the local vibe in the backdrop of the clink of glasses and smell of fresh coffee. 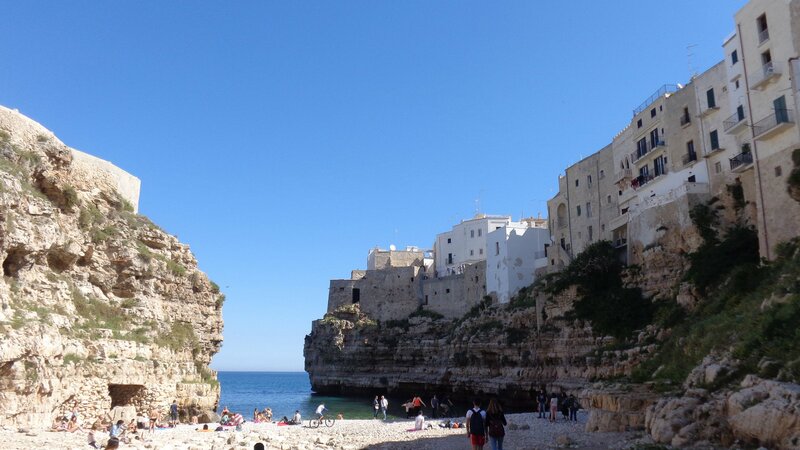 Polignano’s beach is breathtaking and it is lovely basking in the sun yet again. Relish La dolce vita! If you are tired, have fresh fruit from Joya Canti di Stagione. Have lunch in any of the places of the historic centre, like I did. 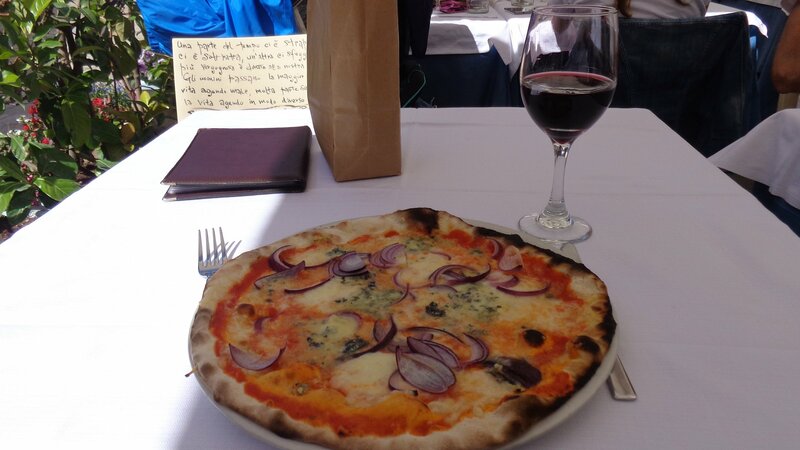 My lunch consisted of blue cheese pizza with a glass of Puglian Negroamaro. Spend the evening shopping, gelato tasting and more people watching. Day 3: Polignano is really a trip of relaxation if you ask. Unless you are the sort of traveller that goes to new towns every day, I’d say just take it easy. End your third day with breakfast at Bar Millenium and take a stroll on the other side of the town. 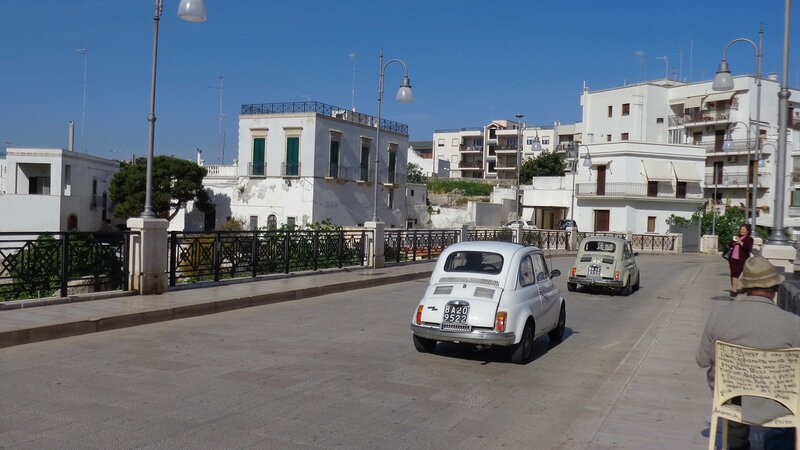 You can either hop and catch a train to Monopoli or sit at a local Bar. I chanced upon a vintage car exhibition when I was there and ate fresh calamari and later octopus from a famous Pescheria. This was followed by more wine and another round of pizza. Enjoy your last evening by visiting MINT for fresh salads and cheese platters. B&B Grottone: € 50 depending on the time and season with breakfast. Joya Canti di Stagione: fresh shakes and salads. Bar Millennium: coffee and aperitivo. MINT: cheese, wine and salads. Don’t miss their cheesecakes! La Terazza: Wide variety of pizza. Super Mago el Gelo: Gelato and Caffè Speciale. Disclaimer: I was offered a discount by B&B Grottone, but as always the views here are my own. Wow what an amazingly descriptive post and lovely pictures to go with ! Loved reading through. A great way to spend 72 hours! These photos remind me of Invisible cities. 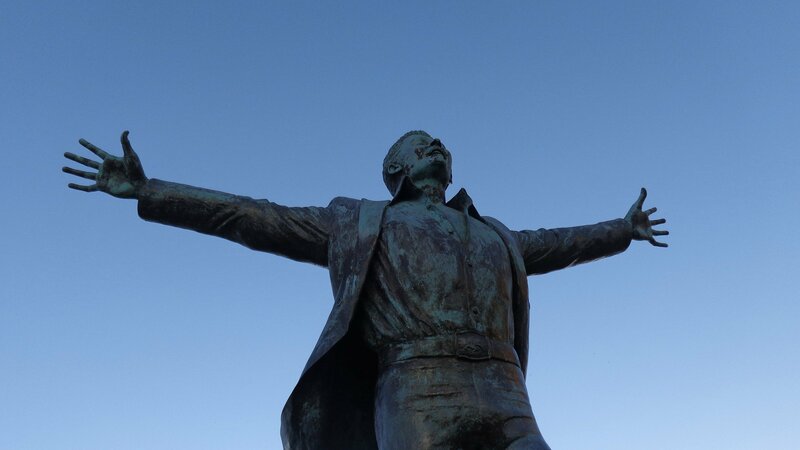 Ok, this is the quote i was thinking about- “You take delight not in a city’s seven or seventy wonders, but in the answer it gives to a question of yours.” ! It sounds like you’ve had a fantastic time. I’d normally say 3 days to a week is perfect to get to slightly know a place. And that terrace. Oh my. Can imagine how much you’d have loved waking up to that! thank you for encouraging every time. It keeps me going 🙂 I just saw on your IG. Do you stay in Italy otherwise or travel often? Have a super time in Sicily. I never heard of this place and I can really feel how lovely the atmosphere in the town just by reading your blog. ❤️ Thanks for the free trip! Absolutely – you need at least 72 hours, because you have to sleep a few of them, too! Nice visit and as I said on your last post, LOVE THAT STATUE! You can hear it sing through the computer! Ah Ishita, this place is breath taking. The water is divine and your B&B sounds wonderful. What a lovely few days. And yes, I agree 24 hours is not long enough – it takes several days to take it in and to meet some nice people. Isn’t it?😃 It’s my favorite from this trip of Puglia. Have you been? Thank you. The locals were so sweet to me. Yes, I have been there but only passing through. I remember the coastline but not the town. Lovely reading through. You have described everything so well! And that pizza. I hope one day I can eat authentic Italian pizza!! Thank you Resh 🙂 glad you enjoyed it along. You must visit Italy soon then ..where are you from? I did 😀 best part about the beach was that it wasn’t crowded. It sounds like you had a lot of fun. That is what I love about Italy, doing normal things is so much fun. Thank you George. I lived every moment of it.n yes that’s the best. love it too! Loved reading this post, Ishita. I really find it great how you end up making friends wherever you go [I cannot see myself doing that]; it’s quite inspirational. This post gave me a good people feeling, if you get what I mean. Useful post and nice photos! Now I have an itch to go to Italy again! And thanks for visiting my blog! Love this town!! A girl friend and I spent 4 nights there last month 🙂 it’s beyond beautiful! I really think we might be the same person…lol. I’m deciding where in Italy to go next summer and I’ve been researching Puglia in addition to some other places. It will be my mother’s 70th birthday, and she wants to go to Italy. Your posts have been really helpful. And your pics are great! 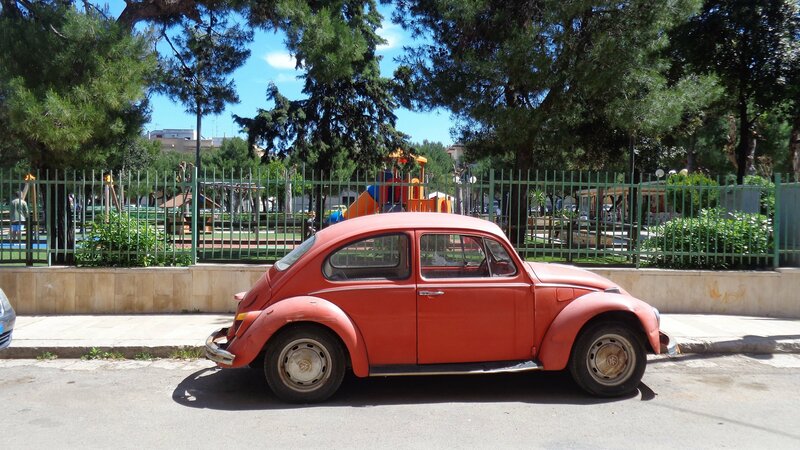 We are thinking of Puglia, Sicily, or the Amalfi Coast. I am glad I can help you. 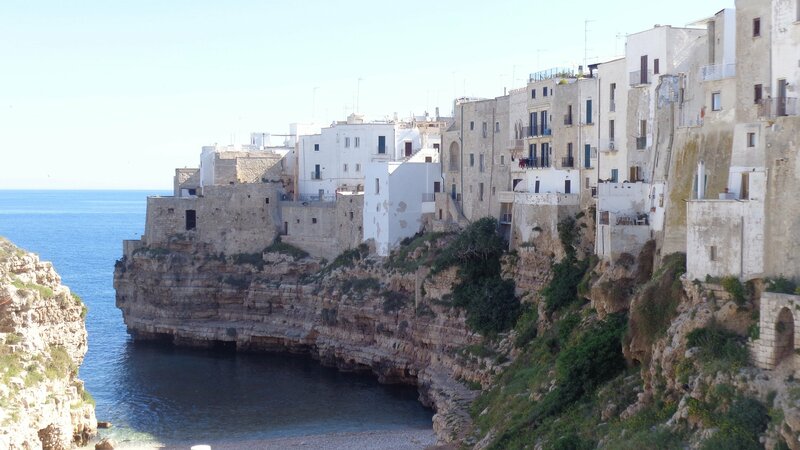 Please visit Polignano and stay in the town for a couple of days. 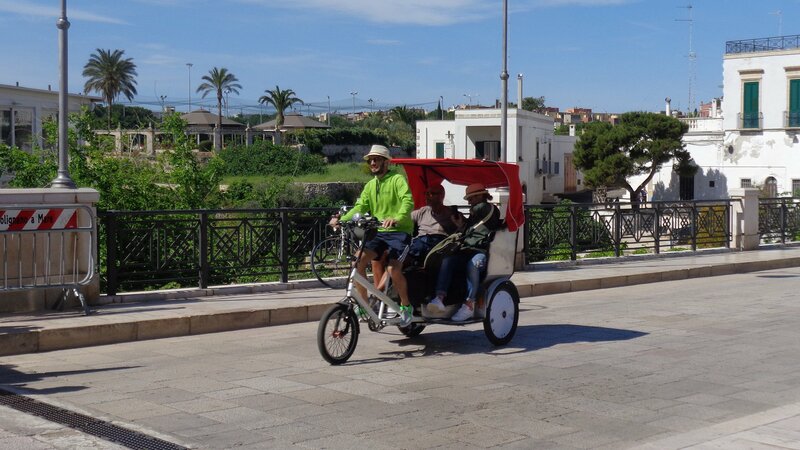 Stay tuned for more posts on Sicily too. I love Polignano! and ice creams are de-li-ci-ous!!! Haha absolutely. This gelato parlour was so different. Puglia is gorgeous! I’m happy to have found your blog, we definitely have similar travel interests. Thank you Rachel 🙂 I am happy too. As always, such an enjoyable read and fabulous photographs! Tanti auguri! Thank you Pamela 🙂 grazie tanto.